The Floyd County Highway Department is responsible for the repair of all Floyd County bridges and patching of all county roads and highways. If you would like to report a pothole or a hazardous road condition on a Floyd County Road please click on the link below for more information. Please Note: For roads within the City of New Albany please contact the City. 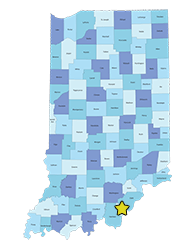 This RFP is issued by Floyd County Redevelopment Commission (FCRDC) for the purpose of obtaining a market needs assessment and financial analysis related to potential new or remodeled sports facilities located in the Floyd County, Indiana. Key stakeholder and user groups in Floyd County have identified a growing need for sporting event facilities in order to better serve their residents; provide high quality venues to host regional and state sporting events, and drawing outside dollars into the local economy. The study area includes the area of U.S. 150 and State Road 64 corridors. The venues of highest priority include: baseball, softball tennis courts. Other minor sport venues should be identified for consideration. See the link below for more information.